Love it! Welcome to the family. I guess it doesn't? Did BMW make cars without alarms? It has "S876A Radio frequency 315 MHz". What's the option code for alarm? Why would BMW not put an alarm in a 40k+ car? The cheapest option is to retrofit new projectors in if you're feeling frisky and don't mind disassembling your headlights. This is also the best option, IMO; you get better projector options this way. Welcome, nice to see another Mystic among all these damn Imola ZHP's. Welcome and glad to hear you were able to purchase the car. Some of your issues that you listed could be a result of bad repairs. I would take the door panels apart and see if everything is plugged in and that the vapor barriers are secure. Welcome, nice to see another Mystic among all these awesome Imola ZHP's. I'm not sure about all Fuyao glass, but I looked it up when I received Fuyao glass in my Touring. Apparently mine was made in the USA based on its DOT #1038. It's actually a very nice quality glass; I don't see any of the wavy crap I had with the PGW glass they tried to stick me with in the ZHP. That waviness was so bad I made them replace it with a OEM Pilkington glass. The Fuyao is holding up very nicely and don't see any visual imperfections in my field of view. Was a new prism installed with the glass or did they try to re-use the old one? Does the rain sensor housing look damaged in any way? I typed "awesome" but my auto-correct changed it. I planned to save my first post for introducing my self and my car, but I really need to comment on this car. 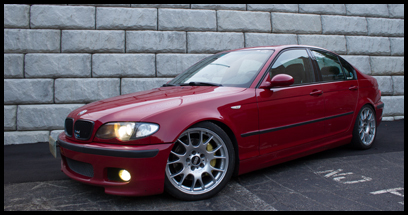 There's nothing as beautiful as a blue (topaz- or mysticblau) facelifted E46 sedan with the mtech front spoiler. Congratulations! I love it as it is - especially with the ambers! I'd personally not replace the back lights - especially not with the led version - this car just looks nice! I was thinking that. I'm sure the vapor barriers are totally not stuck down on both passenger doors leading to the water intrusion. Second I was thinking the wiring could be swapped around in the driver's door. But then I started reading about the crappy mirror ribbon cables and started to get sad again. I will have to take it apart. There is no visual-anything with the alarm. No lights flash outside, and the light in the mirror does not flash. The doors just lock. I think I need the alarm parts and probably some coding. I should be able to score some of that stuff cheap in the JY. Is there a DIY around that explains the parts needed and their locations? The rain sensor could be unplugged, but the auto-headlights work, which I thought used a light element in the same prism? I pulled the fuse to the rain sensor and the auto headlights still work, so maybe they are not related. The plastic around the mirror looks fine, but I'll pop it apart and inspect. I hope it is just disconnected. The glass seems pretty good. No waves, very clear, and no distortions at different angles. Honestly, I didn't even think to look, except the rain sensor wasn't working. I'll do some exploring regarding the prism. The housing looks perfect. Interestingly, I retrofitted a rain sensor into my 98 E38. I glued the prism on my glass using an even bead of clear silicone adhesive, so I wouldn't have to replace the windshield. I know people make a big deal about the prism, quality, and adhesion. But I smooshed it down all the way, took off the excess, and initialized it in INPA, and it's been working flawlessly for years. The actual sensor part in my dad's E46 went bad years ago, which I just replaced with a unit off ebay. So it could be so many things. I did just drive to the dealer and bought a key (since I only have one). On the way back I got my SES light again. This time two codes: P2240 current fault (O2 sensor positive current control circuit/open bank 2 sensor 1) and P2237 pending fault (O2 sensor positive current control circuit/open bank 1 sensor 1). So is this the result of a vacuum leak or what? I'll post a thread in the mechanical section. Strange. With no alarm, the outside lights should still flash upon locking/unlocking, just no beeping. The clown nose is supposed to blink too with factory coding. A quick way to tell if you have an alarm; look on your headliner in the middle and take off that center "mount" thingy with the "vents" on either side. If you have a module in there, that's the motion detector, meaning you have an alarm. If there's nothing in there, no alarm. Coding can take care of the visual acknowledgements for locking/unlocking. With the sensor unplugged, I believe the auto headlights will work only in the capacity that they will automatically just turn on regardless of what the actual lighting conditions are. So, they will be on at all times if left in the auto position. I haven't unplugged my sensor to test this, but I do know for certain that if you put in an Auto light switch into a car without the rain and light sensor, this is how it behaves. Might we worth looking at. If your auto lights are working properly with the fuse/connector plugged in (off in the daytime, on when it's darker out), then it's possible your rain sensor just needs initialization/calibration. This time two codes: P2240 current fault (O2 sensor positive current control circuit/open bank 2 sensor 1) and P2237 pending fault (O2 sensor positive current control circuit/open bank 1 sensor 1). I would look at things that affect both banks. It isn't giving a lean code, so the first thing that pops into mind is the MAF. You said the car stumbles above 50% acceleration. Unplug your MAF and see if your car runs any better at above 50% throttle. If it does, your MAF needs to be replaced, and may be causing those codes. If that makes no difference, make sure there are no intake boot leaks; these boots are known to go back. If unsure, you could always have it smoke tested as well to make sure it's not a vacuum leak somewhere. Thanks! I love the blue. It was the primary color I was looking for. I love the front with the white lights and blacked out grills. It just looks odd to me having the white lights up front and the ambers in the back. Maybe I'll get used to it.